Your dental health is extremely important to us and we strive to do all we can to preserve your natural teeth, however sometimes tooth extraction is necessary to benefit your remaining teeth and your overall oral health. At Northway Dental Practice, our team will go out of their way to ensure that your tooth extraction is as worry and pain free as possible. It is a quick and precise procedure which requires advanced planning. We will create an individualised treatment plan to meet your needs and to ensure your comfort. 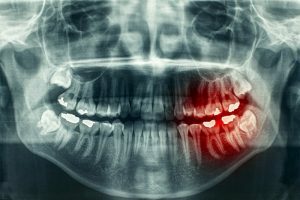 What can be done about missing teeth? Often it is not the thought of the procedure that worries a patient, but instead the gap left behind can be a far greater concern. At Northway Dental we offer a number of solutions to missing teeth such as a single tooth implant, bridgework or – where multiple teeth have been extracted – a removable denture appliance. To book your appointment please click here or call 0151 526 2701 now.